If anyone is wondering why I’ve been quiet lately, I’ve been away on holiday. I just returned from the trip this week and I was thinking about a story that I heard over the past weekend from a tour guide, as we explored the Scottish West Highlands. Actually we were in Edinburgh, and on the way out of the city we drove by the Forth river bridges. The bridges, one old and one fairly new, have what I think at least, is an interesting story. 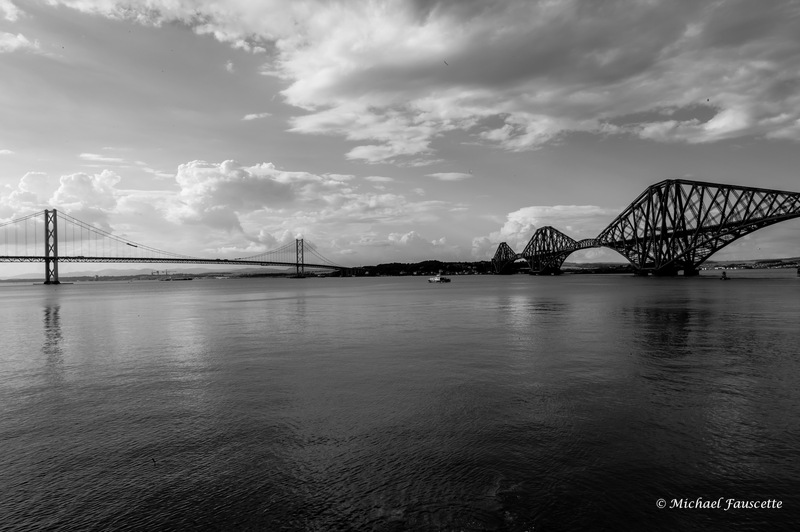 The old bridge, the Forth Rail Bridge, is something of an engineering marvel. It was completed in 1890, after 7 years of construction and is currently has the 2nd longest single cantilevered bridge span (it had the 1st until 1917, when the Quebec Bridge was completed). It has 10 times as much steel as the Eiffel Tower. The bridge, which was the 1st major steel structure in Britain, is a category A listed building in the UK and is a UNESCO World Heritage Site. It continues its active service today and carries over 200 trains per day. While the bridge does require a full time maintenance team, it’s been said that it will last at least another 100 years. Now on to the newer bridge, the Forth Road Bridge. The suspension bridge, which was completed in 1964, was the longest suspension bridge outside the US and the 4th longest in the world. It was designed to handle a traffic load of 30K vehicles per day, a number that was well over any vehicle load projections at the time. Unfortunately those projections were off by over 2X., with the bridge now handling over 60K vehicles per day. Suspension bridges don’t have the best structural history anyway, so in 2003 an inspection program was launched that completed in 2005. The bad news was that there was considerable loss of strength on the main bridge cables which significantly lowered the original 120 year life expectancy. In fact some estimates predicted imposing limits by 2014 and full closure by 2020 (some 56 years after completion). A replacement bridge, along with several life extending remedial programs is now under way. A picture of the two bridges, the road bridge on the left and the rail bridge on the right. So why then, is the rail bridge, built 74 years before the road bridge, so long lasting? Or maybe the question is why was the road bridge built with such limited capacity? Well, like any good story there is a good deal more on both sides of this question. The rest of the story, when it comes to the rail bridge requires a little historical context. The original design for the Forth Rail Bridge was done by an engineer named Sir Thomas Bouch, a well known engineer who had also designed the Tay Rail Bridge. For the Forth bridge Bouch had obtained some “expert” advice on wind loading that led him to grossly underestimate the wind load on the subsequent design of the Tay Bridge. The Tay bridge design was complicated by many other factors, including a need to have very high spans to allow clearance for shipping (3 masted schooners), deep bedrock that led to using fewer piers and longer spans…you get the idea, there were several design changes and tradeoffs. The Tay bridge was completed in Sept 1877. On December 28th, 1879, during a severe windstorm, the middle section of the Tay bridge collapsed taking the crossing train and all passengers on board with it, there were no survivors. I’ll spare you all the details of the subsequent analysis but generally the consensus finding was that the bridge failed because: 1. incorrect windloading calculations / allowances, 2. poor design and 3. poor quality control during construction. In other words bad design and bad execution. Bouch, who was ruined as an engineer, died within the year and needless to say, the Forth Rail bridge was redesigned. Considering what was fresh on the engineer’s mind, Sir David Campbell and Sir Ross Fox, the new design was very robust and the subsequent execution of the design met the highest quality standards available at the time. The road bridge though, is a different story. The design was adequate based on the general engineering principals of the 1950’s for suspension bridge design. The traffic planning assumptions, as I mentioned above, were grossly underestimated but otherwise the design met accepted design practice for the time. The current issues, which were not discovered until the first inspection in 2003, which was ordered after several similar suspension bridges in the US were discovered to have accelerated deterioration to the cables, are then really related to poor planning assumptions and to flawed design principals. Okay, if you stayed with me this far, I will say, that I’m not trying to become a bridge historian. There are several business lessons that jumped out at me when I heard the story and I want to share them. I’ve spent a lot of time lately looking at how companies must change to meet customer expectations and build a successful customer experience strategy. I’m particularly interested in the role of customer communities in this and in what makes a successful community. With that in mind, let’s look at the lessons from the tale of the two bridges (or maybe that’s the tale of three bridges really). Planning based on flawed assumptions leads to flawed results. When estimating the future we tend to apply current growth rates consistently instead of including compensation for acceleration of that growth over time. Using the best practices today may not ensure that the program you design will continue to work or meet expectations. In other words, you need the flexibility in your design to be wrong and correct for that “wrongness” in the future. What you know today may look true based on current technology / knowledge, etc., but may prove out over the long term to have been flawed. Planning isn’t enough, you have to execute the plan to accepted standards. A bad plan well executed will likely fail, but a bad plan poorly executed is disastrous. A well engineered plan executed to the highest standards will likely exceed all expectations. Steel is better than cast iron for building bridges (in other words the tools and materials you use for building and executing your strategy must be appropriate for the job). 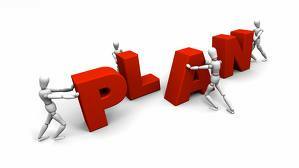 Is Planning enough? No, but it’s a start. Execution is the other half. Building customer service today requires a solid plan based on good assumptions, using the best and most appropriate materials and tools, well executed and with enough built in flexibility to adapt to a very dynamic and changing business environment.